Inside your body there is an amazing system of immune cells and tissues that have the purpose of defending you against invasion by bacteria, viruses, toxins and parasites. Collectively, this is called your immune system and it is like having your own private army. When your army is working well, then you hardly even notice that they are there. 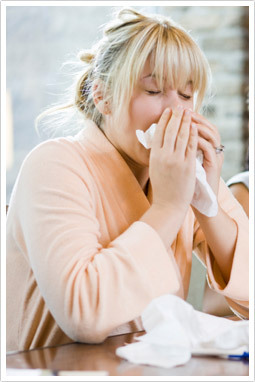 You feel healthy, you have low levels of inflammation, and you are resistant to infections, common colds and flu. However, when the army becomes disorganized, confused or overworked, they you start to notice signs that all is not right. If you have been under considerable stress, eating poorly or are just generally run down, your immune system may not be receiving the nourishment that it needs to effectively protect your body from infection, colds and flu. When your immune system is in this state, you may get sick more frequently or develop a chronic or long lasting cold or infection that you just can’t shake. If this is the case, your MNMC Practitioner will want to provide the nutrients that your immune system needs to work properly as well as stimulating your immune system so that it is once again able to fight off colds and flu and infection. Cellular health screening is a useful tool developed for measuring the health and vitality of your cells including your immune system. This technique allows your experienced MNMC practitioner is able to develop more effective health strategies tailor-made for you, setting the platform to heal the whole body. Cellular health measurements enables your practitioner to better understand the effect of lifestyle and environmental conditions of your body and how they may be adjusted to improve your health.